This page provides an overview of the 2016/17 Staff collection (C16025). This should be used alongside the C16025 coding manual, which provides more detailed, technical information about the collection. A document summarising the changes that have been made to the Staff record for 2016/17 can be found in the C16025 coding manual. A full list of the changes can be found in the Revision History. Any changes made to the 2016/17 Staff record after the first release of the manual will also be documented here, so you should frequently reference this web page. Our data collection system has been upgraded for this year to show the progress of your file in meeting key deadlines. In addition, we now operate a tolerance approach for switch requests whereby the quality rule will not be switched entirely, but instead for an agreed maximum number of counts. This request should still be raised in the usual way by emailing [email protected] with an explanation as to why the rule is not applicable. HESA will then seek approval from the relevant Funding Council to switch this rule within a specified tolerance. If this tolerance is exceeded it will re-trigger as an error and you should get back in touch to seek approval to increase this tolerance. Access to the data collection system for the forthcoming C16025 collection, as well as Minerva, will be governed through our Identity System (IDS). For the C16025 Staff record, we have adopted an agile approach to data collection. Functional components of the system are being released incrementally during the period leading up to full functionality being released by early August. This approach gives you more flexibility in when data can be submitted. This in turn provides a longer window for data quality checks to be made. Details of the contents of each release can be accessed via the Release history. Validation rules previously known as Business and Exception have now been collectively rebranded to be quality rules. There is a new quality rules webpage accessed via this page. 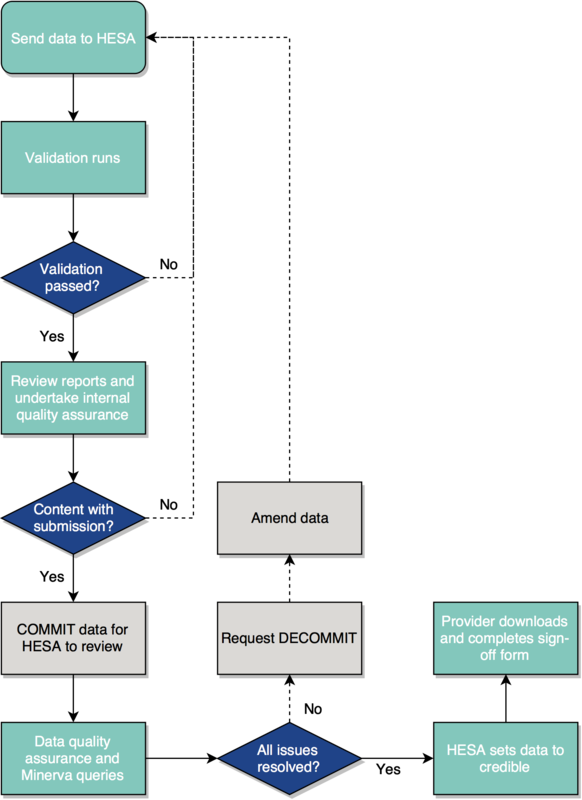 This single webpage presents all the data quality validation in one place, rather than the rules appearing on each page for individual data items. This ensures greater visibility of the portfolio of rules, easier searching as well as a downloadable spreadsheet of rules. For the C16025 collection you need to submit a single file containing full data. Each subsequent file you upload will replace the previous one. If you prepare your data in multiple *.xml files, our XML amalgamator tool will combine these records prior to submission. HEFCE would like to remind providers about the importance of meeting the published collection schedule. HEFCE will review providers' performance as part of the annual provider review process. Average figures are being incorrectly calculated for UCEA Level 2 for last years (15/16) data only. Correct figures are available from Liaison if required. As the collection is due to close on the 14th November, this issue will not be fixed within the current collection. This quality rule error is triggering correctly but displaying the incorrect information. The instances that are triggering this rule can be found within the LVL1 Credibility Report that is available. To do this please use the 'Total' drilldown option and sort by the 'Levels' column. The populations in the following reports incorrectly includes starters who began after 1 August 2015, not starters who began after 1 August 2016: PREV3, PREV4, ACTL2, ATQ2, ETH2, HQHD2, LOCL2, NAT3 & PREV2. Shading rules on credibility reports do not appear until your submission has finished processing. The reports and tables will appear first and the shading rules later. So whilst you're transaction is processing, please wait until it has completely finished before checking if you have triggered any shading rules. When downloading credibility reports to excel there is an issue with sub-headings (Part-time, Full-time, Total) not being pulled through. The following tables with this issue are: ETH4, SAL1, SAL2, SAL3, SAL4, SOBS1, MOE2, HCC1. A number of providers are experiencing an issue where this rule is triggering despite knowingly recording cost centres from last year. Currently all cost centres are being recognised as 'New' despite being returned in previous years, as data from C15025 has not been pulled through correctly into the current collection. This is the first release of the data collection system. In addition, a concept of 'tolerances' has been incorporated to quality rules.